Why would someone vote for the Lizard People? Listen Why vote for the Lizard People? When the recount to decide the race between incumbent Republican Sen. Norm Coleman and his challenger Democrat Al Franken began, a few things immediately became obvious: some people were very creative with their votes. And then there was the Lizard People ballot, which got notice on the Wall Street Journal Web site and "Hardball with Chris Matthews." "Let's take a look at the next one, guys," said Chris Matthews on his MSNBC show "Hardball." "This has got Franken clearly filled in, I mean, it's clearly filled in, and then they write in, under Write In, Lizard People. It looks to me like an overvote, Todd. What do you say, Steve?" 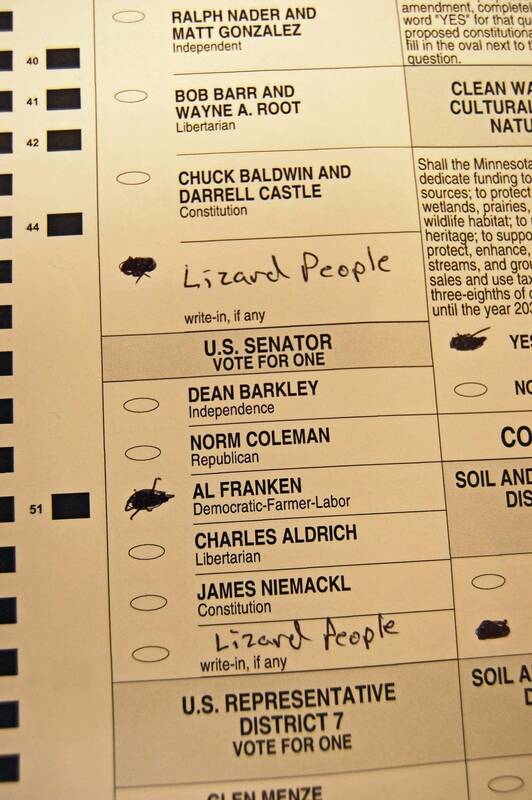 On the U.S. Senate section of the ballot, the oval for Al Franken was filled in. But at the bottom was a write-in for Lizard People. Lucas Davenport says it was meant as a joke. The vote was thrown out for having more than one name indicated, a decision the Franken campaign has challenged. But the ballot instantly attracted national attention. Some people posted angry responses on blogs, accusing the unknown voter of wasting a vote in the too-close-to-call race. Davenport, a contractor who lives in Bemidji, Minn., says that's why he finally decided to come clean. "I mean, it was on 'Hardball,' and there was serious discussion about it, it's ridiculous. If Lizard People, in plural, is written in on the ballot, I don't think it should be taken seriously, whatsover, and this animosity is just wonderful," said Davenport. To prove he did it, Davenport provided Minnesota Public Radio with biographical information that matched public records. 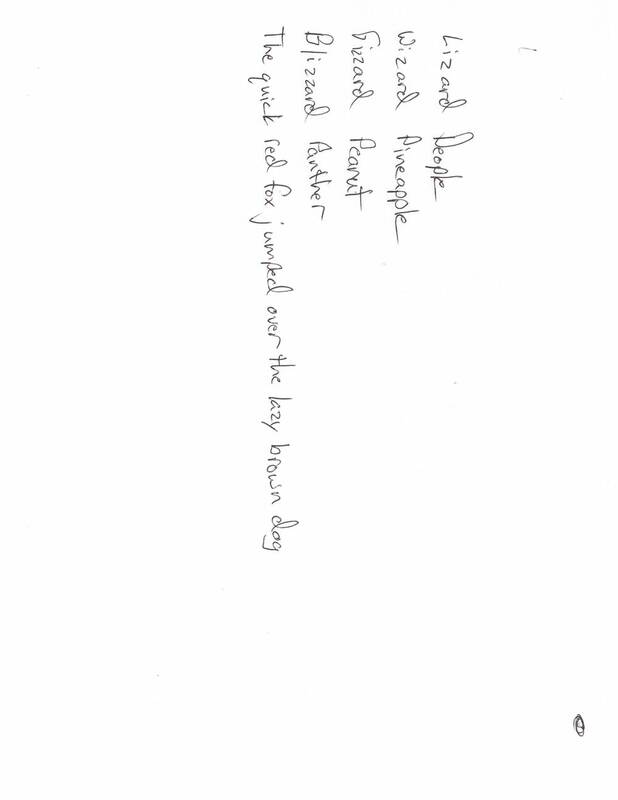 He also provided a handwriting sample. But there is ultimately no way to know for sure that the ballot really was his. But he says everyone who knows him personally could see it really was. "The handwriting is mine, hands down. Even my dad saw it, and he's like that is your handwriting, there is no doubt about it. I think it would be pretty easy to, with my handwriting sample, to prove it was mine," said Davenport. He says people who are hoping to blame the loss of their candidate on his thrown out ballot are missing the point. He says it's his right to exercise free choice, as well. "Because you don't have to vote. It's not mandatory. And I think that I have the right to vote for anybody I wish, even if it's a made up candidate or even myself, if I wanted to write that in," said Davenport. Davenport says he has been pretty ambivalent about politics ever since George Bush's second election victory. Since then, he's mostly stayed away from the polls. In the meantime, he's enjoyed the debate over his ballot. He says he's been surprised by the different meanings people have attributed to it. "If I get my 15 minutes, I get my 15 minutes, and if not, I'll have some good running gags for the rest of my life," said Davenport. But so far, Davenport has no plans to follow in Joe The Plumber's footsteps and consider a run for Congress. But if he does, some people will no doubt recognize his name. If you Google Lucas Davenport you'll turn up someone of the same name who's already famous, but fictional. 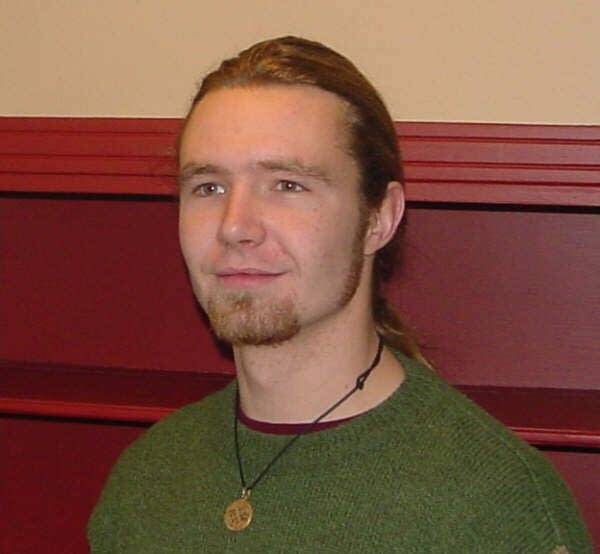 Lucas Davenport is the protagonist cop in a series of novels by Minnesota writer John Camp. Camp published the books under the pen name John Sandford.